I didn't measure any dimensions as there was a major issue with the alignment of the non tang ends. I'd really be curious to know how they are manufactured. Three sets all exhibited the same phenomenon. I am going to go with Clevite 77. Can only assume the issue will go away. Will update the thread when complete. I'd be curious if there was an alignment issue at the tang ends, like mine. The non-tang end should be more or less aligned the same as the tang end I would think? I have to apologize to the OP - probably taken this tread way off track from the original post. I have been watching this waiting to see if anyone spotted the problem. The problem is in the bearing. Not the rod as one person actually fitted older used shells and they lined up. The problem is at the tang end. Something we saw sometime ago and either fix or use another bearing type. Here is a test to do. Push the shell into the cap (all the way) and rotate it so the tang is out of the cap. Now see if the bearing positions itself differently. Then look to see why the bearing re positions itself when the tang is engaged. Simple to fix if you see the problem. That's why I decided instead of blindly ordering a complete set of new GT3 bearings from Porsche I ordered a pair of shells to see how they fit and measure out before committing to the whole set. 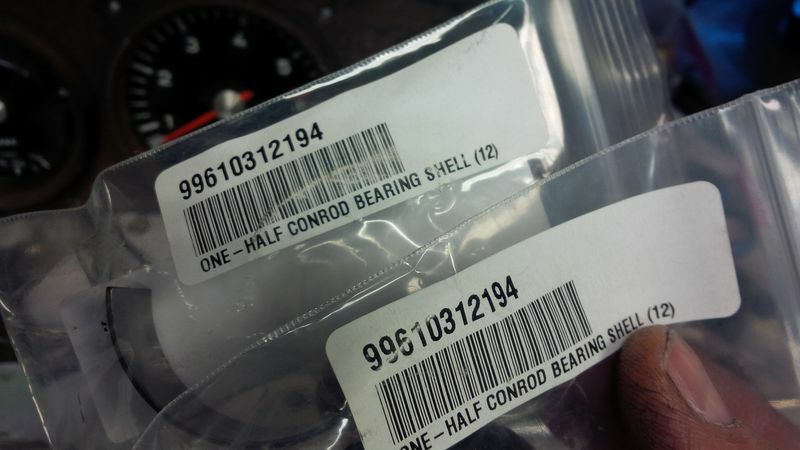 Reason being, chances are good that if Glyco in Germany are making aftermarket GT3 bearings in the wrong dimensions, there's a good chance they are making them wrong for Porsche too? I can't really fathom how this situation has presented itself. Someone is asleep at the controls, somewhere. Historically that has not been the case. The bearings made for Porsche are made in Germany and exposed to different quality control measures. 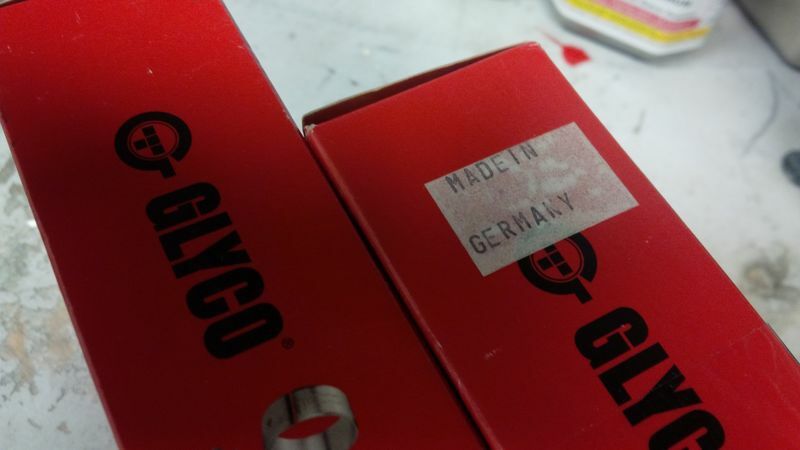 The Glyco branded parts are made in third world countries, and obviously don't have a satisfactory quality control program. This information has already been shared in this thread, and is commonly available in other rod bearing threads. I'm aware of the previous mentions of Glyco bearings - just trying to add to the knowledge base. 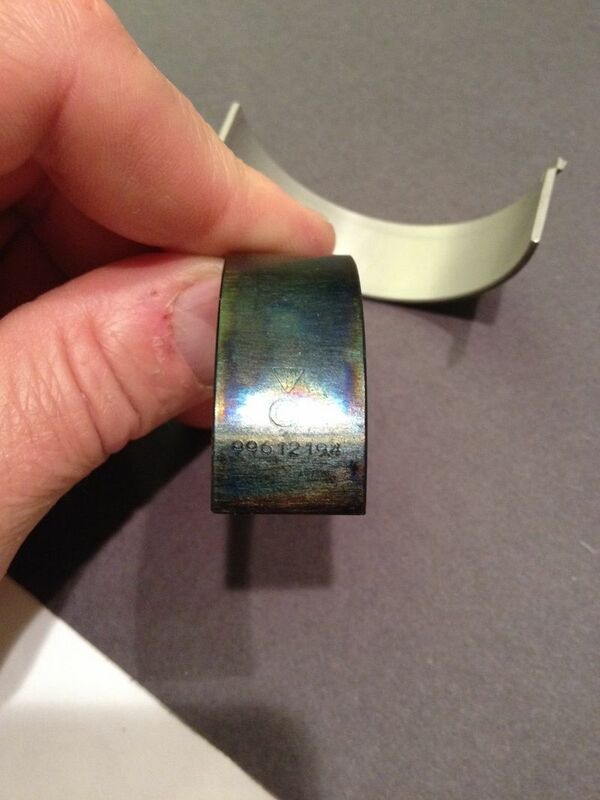 To my knowledge nobody had reported on the aftermarket GT3 bearings which are made in Germany. The mains had no indication of their origin whatsoever but did have German on the Box so conclude what you will about that. Last edited by Jonny042; 02-06-2019 at 01:25 PM.. I'm a big believer in the fact that if people can't take the time to check their spelling (language notwithstanding) that maybe they aren't going to get every other detail right. Porsche race cranks from back when had larger radius fillets, which necessitated narrower or otherwise adapted rod bearings. But I don't think that much! Ordered a pair of GT3 shells from a dealer and sure enough they are f$%*ed up too. Shell thickness within a .0001" of the bearings coming out of the motor, but the same messed up width. This is pretty discouraging. Really? 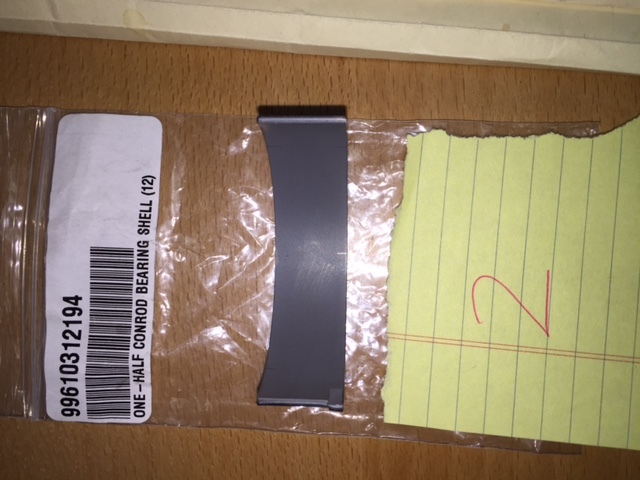 - this is what you get from Porsche when you order a genuine part these days? 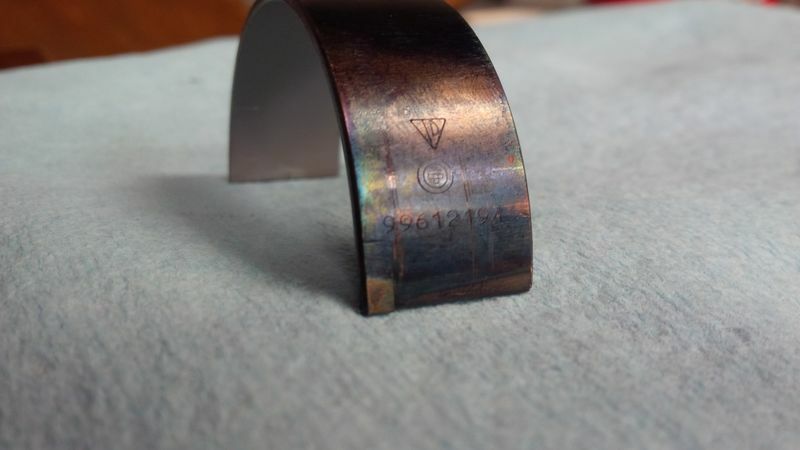 I keep thinking maybe I'm the one with the problem, but Kevin's measurements prove that the factory GT3 bearings used to be a different width, than they are now. I'm assuming the OP is going to do the same. 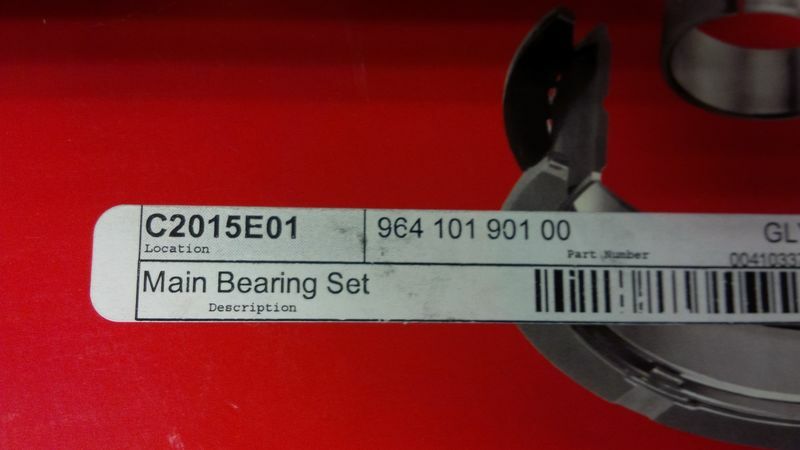 Without the benefit of part numbers, but are you sure those bearings pictured are the correct ones? A GT3 bearing should not fit in your Rod BE. I'd be more than willing to be proven wrong, but it's pretty well established that the 996 GT3 crank uses SC sized journals. In fact I have a 996 GT3 crank in the basement for a future project and measured it to be the same in all dimensions including fillet radius. Numerous mentions from many respected professional engine builders recommending the use of GT3 bearings in SC motors. The real problem, which I believe may also answer the OP's concerns (albeit on 3.2 sized journals) we have evidence in this thread that a Genuine Porsche 99610312194 bearing purchased several years ago is wider by (at least) a couple of millimeters than a Genuine Porsche 99610312194 purchased last week. Oops. My bad. Based this on OP rods MY 89 3.2L. Yes GT3 and many race engines by Porsche use the 53.00mm x 0.866" wide journal. This is an engine rebuilding forum, so rebuild your engine. Rebuilding often requires machining operations, and corrective machining operations even on new parts. If the forum was, Porsche assembly forum, then swapping out parts would be the norm. Its not uncommon to narrow bearings, or add more radius clearances for cranks with wider fillets etc. We do this all the time when designing rods for engines where no bearings are made for. Modify the shells and move the shells to where you need them. Its not hard. Hand tools can do this. The tang is what is locating the shell. Modify the tang so the shell moves over. The bearing shells will not move if the rod has the correct housing bore dimension. I recognize what you're saying here Neil. But let's not be absurd with making a statement like "this is rebuilding, not just parts assembly." We all generally recognize there's nuance to rebuilding the engines and measuring, machining are to be expected. 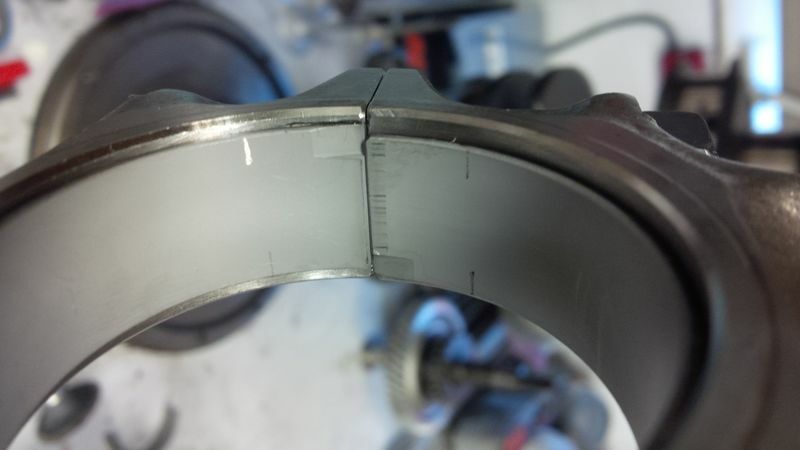 However, we've typically not encountered an issue with bearing dimensions being grossly different and hence the reason for the questioning of what's going on here. There's no question that the older these engines get, the tougher going it will be to rebuild them with original specification parts. Sometimes modifications will be necessary if one goes outside the norm and one is looking to mix and match parts from different model years. 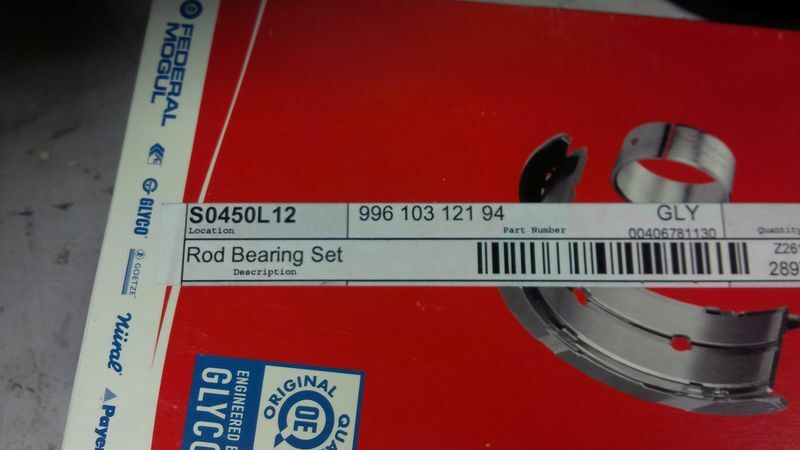 But this case of the 996 GT3 bearing being a direct interchange for the SC rods has been accepted knowledge for a lot of years. It's not uncharted territory whatsover. In the case of the rod bearing dimensions, well we're talking like for like here regardless of whether the crank & rods are SC or 996 GT3. In other words the same situation here is going to apply if the GT3 bearings are to be placed in a GT3 rod since the SC and the 996 GT3 rods have the same big end dimensions. I would expect such a significant change made to the bearing like this would prompt the creation of a superseded part number. Heck, Porsche has superseded part numbers for other things much less important than this! But when you come from, where there are no parts but the ones you make or modify yourself, and brand new parts that never fit out of the box, you understand what needs to be done and how. Porsche has for years made parts that fit out of the box and many engine "builders" have been born never having the experience or skills to "build" an engine. In many of our engines where we design and have made custom rods, there are no bearings that fit. We find a bearing that will support the loads we know will be placed upon it, then design the crank and rod around it. 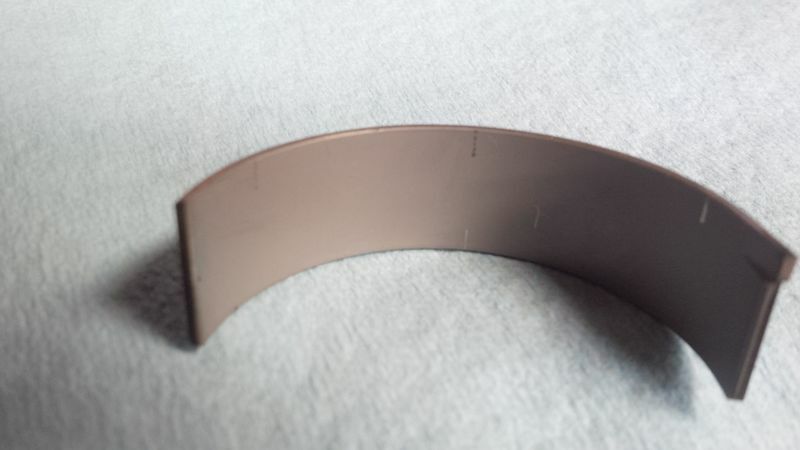 Often, more times than not, this bearing is modified in its length and tang. Any bearing fitted to any rod should be checked for the correct alignment. You can bet every dollar for a doughnut that if there is one set of shells wrong, all will be the same as they are all made with the same tooling in the same production run. Last edited by Neil Harvey; 02-14-2019 at 09:36 AM..
FWIW, i am in the same boat, have a set of resized SC rods, nominal width 22mm, and just removed bearing shells approx 17.7mm wide from what was a rebuilt motor. Clearly the PO didnt notice/care they were nearly 4mm too narrow . 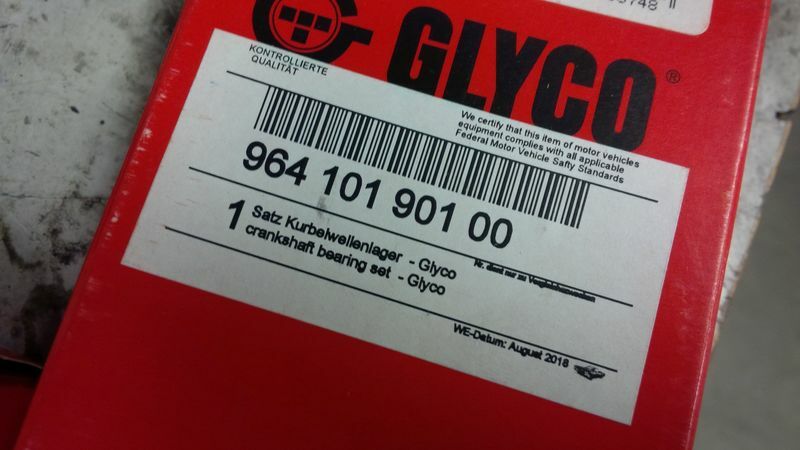 ordered my replacement bearings from local guy, get german made glyco's sent with 99610312181 part number (71-3913 stamped on back of bearings). I am in Australia by the way so the problem is universal..! Thinking Clevite from the host is the best course of action...can anyone confirm their width? Last edited by Jonny042; 02-15-2019 at 04:15 AM..
Clearly the PO didnt notice/care they were nearly 4mm too narrow . Thanks for chiming in! Yours are the same vintage as Kevins, so we know the change in width occurred in the last five years. I tried scaling off the pic, but was unable to get a good comparison to a defective, narrow, bearing. Maybe I'll snap a pic today of mine from the same angle and try again but I think we already know the answer. The scary thing is the narrow bearings coming out of previously rebuilt SC's (two examples in this thread alone). I wonder how many of these faulty bearings are out there in use? Does it really matter?